Denver Locksmith » Resource Center » Should My Home Security System Be Monitored? 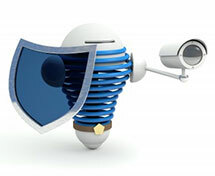 In the past monitoring security systems was typically only seen at businesses or identified with the wealthy. Today, with the advancement of technology, monitoring has never been as accessible, comprehensive, and convenient. Depending on what your security needs and wants are you can fully protect and monitor your home 24/7 with the support of a professional security system company. There are several key components that go into monitoring your home security system, and it’s important to note that while you can monitor some aspects of your home security, you will need an expert security company to provide you with the support you need. An expert security systems company will be able to provide you with several different remote viewing cameras and monitoring devices. There are many options in monitoring your home security. You may want to monitor your home by using a security system with glass break sensors, and motion detectors to identify intruders. Monitoring also includes protecting you and your family from smoke, fire, and carbon monoxide. Also, monitoring your home security through video surveillance is an option that technology has made simple and affordable. A comprehensive security system uses many key components to provide the highest level of protection possible. These key components work together in harmony all providing separate elements of protection, giving you an overarching protection. One key component of a comprehensive security system is a keypad. It is the point of reference for your home security needs. It will allow you to arm, disarm, and provide you with alerts of danger such as unwanted intrusion, or the detection of carbon monoxide. A keypad connects to, and monitors a number of security devices that will protect the perimeter and interior of your home if the security of your home is breached. Point or entry monitors, glass break sensors, and motion detectors all report back to the keypad if there is a disturbance of any kind. A keypad will allow you to fully control all aspects of your home security system. Smoke, fire, and carbon monoxide can be just as dangerous as an intruder to you and your family. Early detection of these dangerous elements is crucial for the protection of you and your family. A complete security system will both monitor for smoke, fire and carbon monoxide, and also contact the proper authorities if you are unable, or unaware. Every second counts if you encounter a potential fire, or carbon monoxide leak, and a security system will give you the time you need to escape. Remote alarm controls, also known as key fobs, are a key component to a comprehensive security system because they provide you with an element of convenience and protection. Easily arming and disarming your security system from a touch of a button is incredibly convenient. Also, most key fobs will have a panic button, or a button that immediately sounds the alarm. This provides an additional element of security. If you are accosted as you approach your home, you can sound the alarm, which could potentially scare the criminal off, and also alert the authorities, as you may be unable to use your phone. Monitoring your home has never been easier. There are many effective ways that are literally at your fingertips for you to continuously monitor the security of your home. Today, most of us view our phone as our constant companion. Our phones have become a key advantage in fully monitoring our home security. Phone calls, text messages, and emails are all notifications that an expert security system company will provide to best monitor your home. These monitoring applications serve two purposes. First, and maybe an obvious benefit, is the protection of being alerted to any potentially dangerous situation. Second, security systems are often tripped, or set off accidentally. Having a security system monitor your home at all times, and provide many different avenues of communication will allow you to safeguard yourself from the unnecessary notification of the authorities. A text message, or phone call may allow you to cancel a false alarm therefore never contacting the authorities. The time of the police, fire department, and other authorities is exceptionally valuable, and should never be wasted. Also, you may be subject to a fine if the authorities are falsely called to your home. 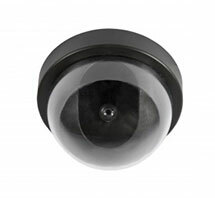 Security cameras are a convenient way for to monitor your business or home. The access to monitoring security cameras has brought home security to a whole new level in terms of monitoring your home. Today, a video surveillance system is available not only to businesses or the elite, but to everyone. Gone are the days of blurry/hard to see video, or separate monitors, which were needed to properly document the video. The technology of smartphones, computers, and tablets allow you to monitor all activity partaking inside and outside of your home in great detail. A superior video monitoring service will allow you precise imaging which allows you the advantage of zooming in on specific objects or people. From your desk at work, or your smartphone at the grocery store, you can monitor your children safely returning from school, or keep a watchful eye out on a new babysitter. Also, if an intruder is able to breach other elements of your home security you may have video surveillance of the crime that will prove incredibly useful to the authorities. This article has discussed the many different key components in properly monitoring your home security system, however none is as important as employing an expert Denver security company to monitor all your needs. An industry leading home security company will be your eyes and ears 24/7, and truly is your biggest asset when it comes to fully protecting you home. They will provide you with the support and safety you, and your family deserve.